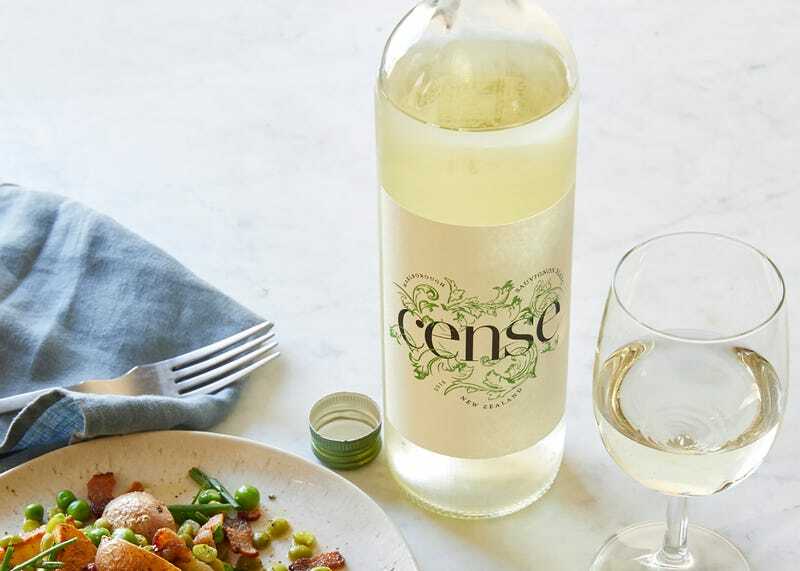 But if your version of “living life to the fullest” (Mom-speak for YOLO) includes getting reasonably tipsy off your two glasses of sauv blanc, take note: Cense clocks in at a moderate 9.6 percent alcohol by volume. That’s a step down from the low-teens ABVs of typical white wines. Alcohol contains calories, so lowering the booze bar also lowers its calories. In Weight Watchers Points terms, Cense clocks in at three per glass compared to typical wine, which usually packs at least four points. Winemakers at Truett Hurst, the company producing the Cense line, use a complex alcohol-filtering method to push both the ABV and calorie counts down. (Wine dorks and armchair booze scientists can read about the method in this Wine Spectator piece.) It joins Skinnygirl in the small but seemingly expanding low-cal wine space, though with a key difference. While Skinnygirl’s labels will always broadcast your diet ambitions to the world, Cense’s Weight Watchers sticker of approval peals off for more discreet dieters. The only sign you’re drinking low-cal wine? You’ll still be pretty sober after two glasses.